Craven Community College | AndiSites Inc. 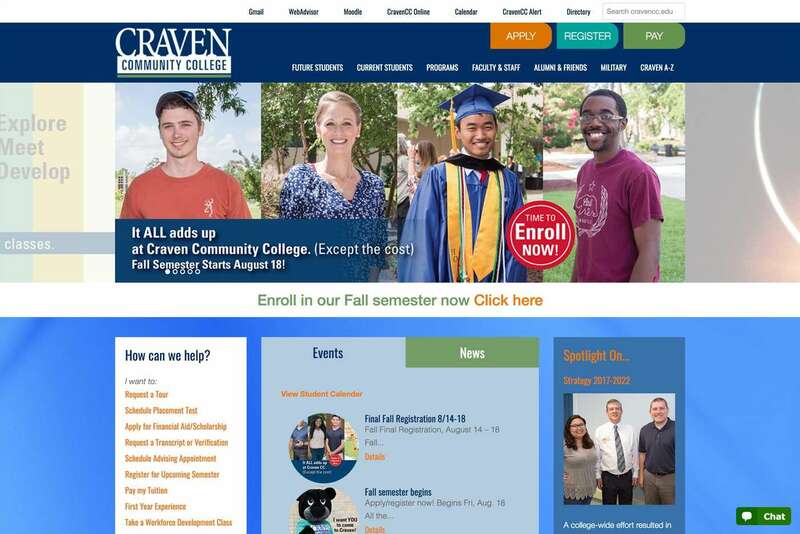 Founded in 1965, Craven Community College is a comprehensive community college with campuses in New Bern and Havelock-Cherry Point. 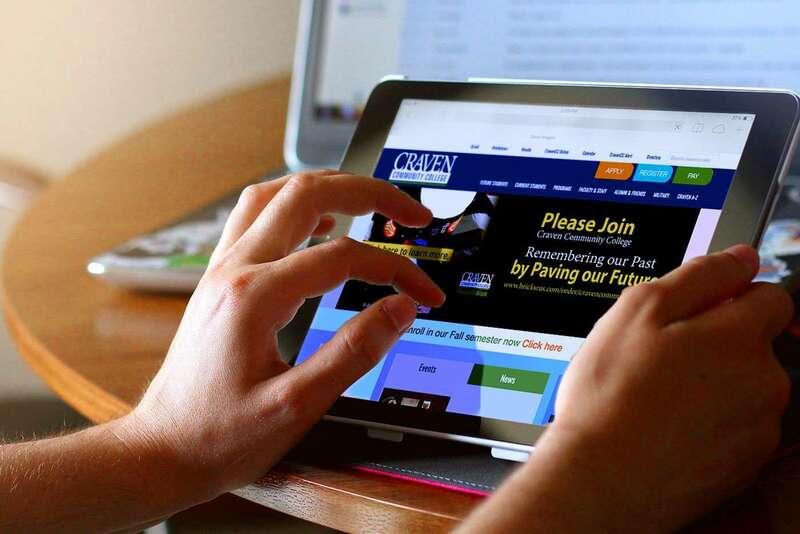 Craven serves more than 3,200 curriculum students and nearly 10,000 continuing education students each year. CCC features a wide range of programs, including college transfer courses, career and occupational offerings, partnerships with four-year universities, specialized workforce training options, developmental studies and basic skills classes. 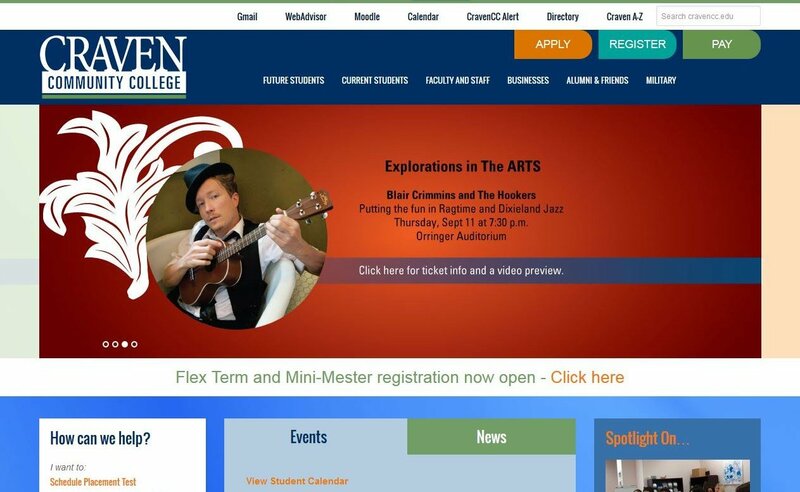 Award-winning WordPress multisite redesign, development and consultation (including conversion from custom CMS) for Craven Community College in New Bern, NC. This project included serving CCC’s various audiences (recent high school graduates, returning adult learners, military, etc.) through intuitive navigation, easy-to-use calls to action, and comprehensive information. 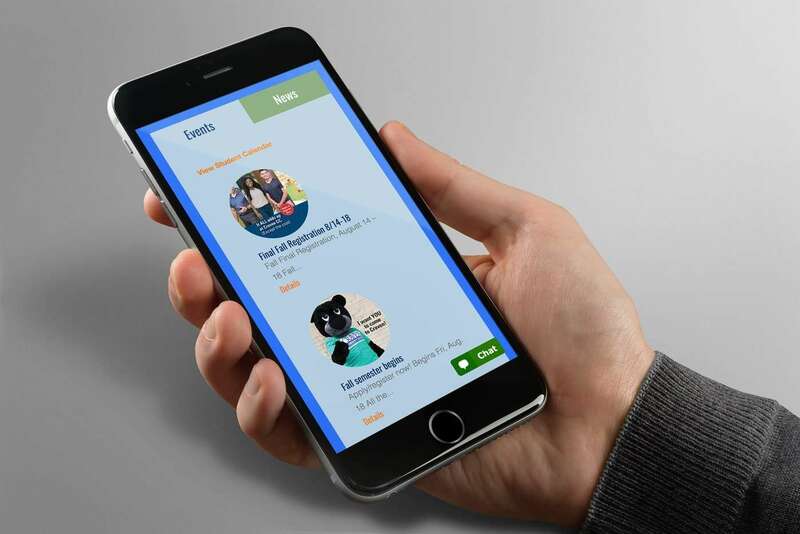 These websites were developed in partnership with Craven Community College staff and students using creative approaches that allowed CCC and AndiSites to make the most of their budget.